Mr. Beautiful Man, why are you flaunting your beauty so??? Is it O.K. to call a guy beautiful? Do you mind if I call you beautiful? Whew, that's good, because you ARE beautiful. My GOODness, you are GORGEOUS... with a capital G, and, well, capital everything else too! Are you flaunting your beauty just for me? 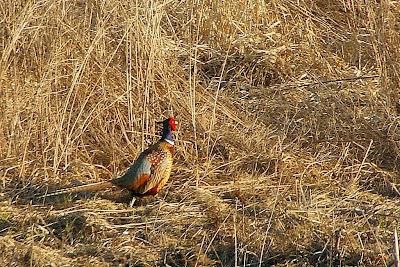 So, you're wanting to be the next TOP Male Pheasant Model, eh? I think you win. Hands down. I'm so honored you are showing off for me! Oh... NOW the truth comes out!!! It had nothing to do with me, huh? You just led me on. Let me think you were flaunting your stuff for me! I don't really mean anything to you, do I? It's O.K., I'll only cry for a little while. Besides, who can blame ya? 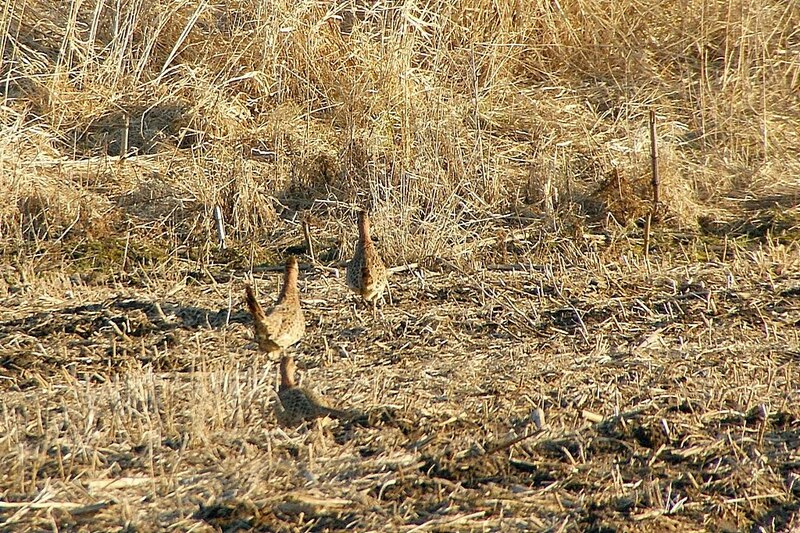 not one, not two, but THREE other ladies following you around! 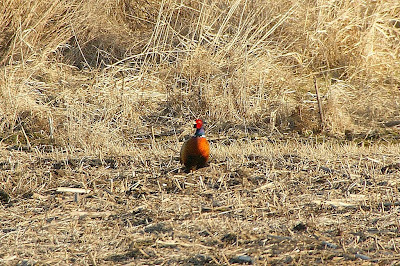 He is a very handsome pheasant ... with lots of girlfriends! Happy Anniversary, Misty. Here's to many more Camera Critter years! Yes he can be called beautiful and gorgeous. Guys can be beautiful and he certainly is! IT took me a while to find the third female. The male's call always reminds me of a Model A Ford horn. 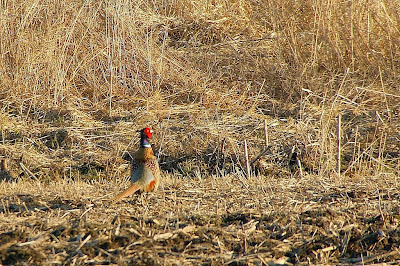 Hi There... these birds are lovely ... Happy Critters Anniversary ... and Happy Easter ... All the best ..
Wow, what luck getting those pictures. They are lovely. very nice lol!i love the humor in here...happy 2 years anniversary....more power! Oh my, he IS pretty! Congratulations on 2 great years of Camera Critters. I have thoroughly enjoyed participating! Well, he is gorgeous! I'm sorry he broke your heart. What gorgeous colours he is sporting! 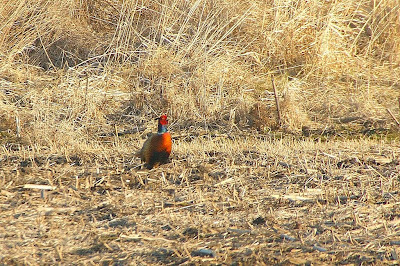 What a colorful guy in all that brown! Super captures Misty! Two years - WOW - thanks for the fun! 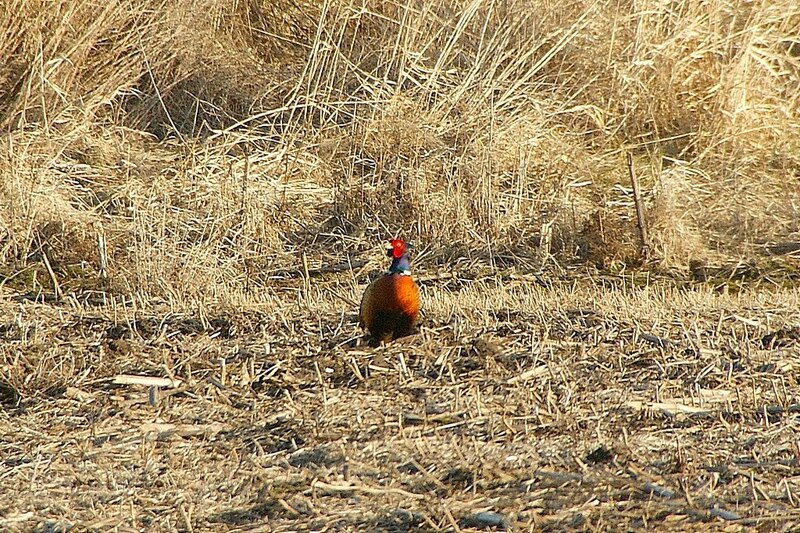 Great shots of the Pheasant, Misty. And thanks for two years of critters...it's been a blast. 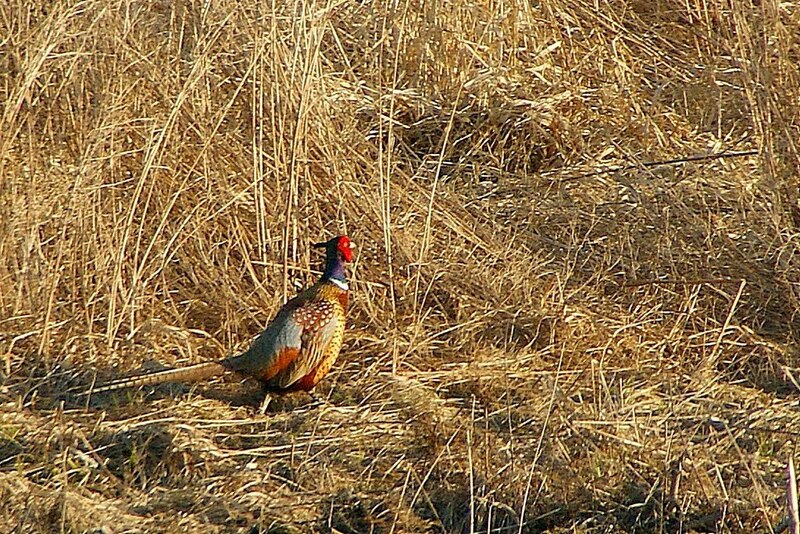 Pheasants. 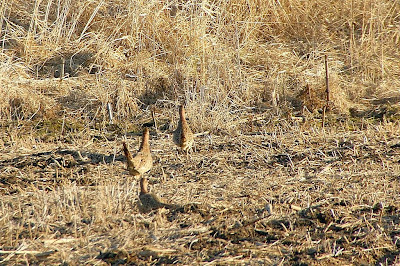 Show offs - every one of them. Nice pics. 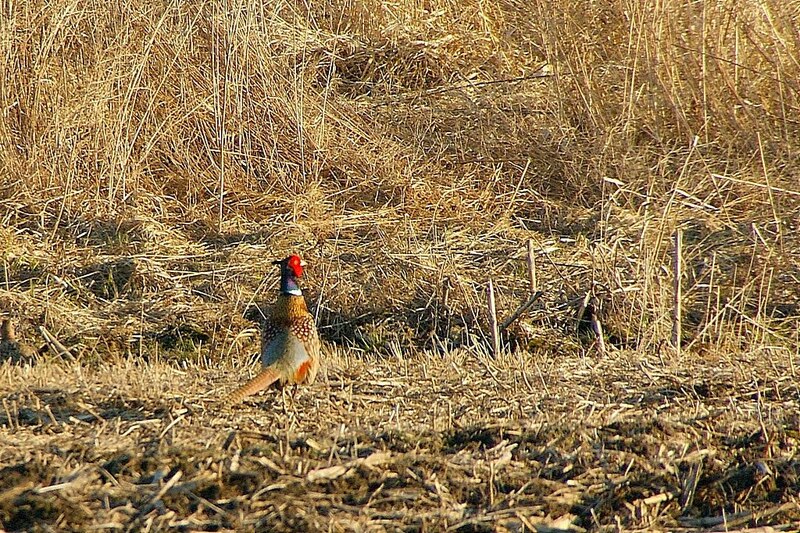 Misty: What a great photo of the Ring-necked Pheasants. 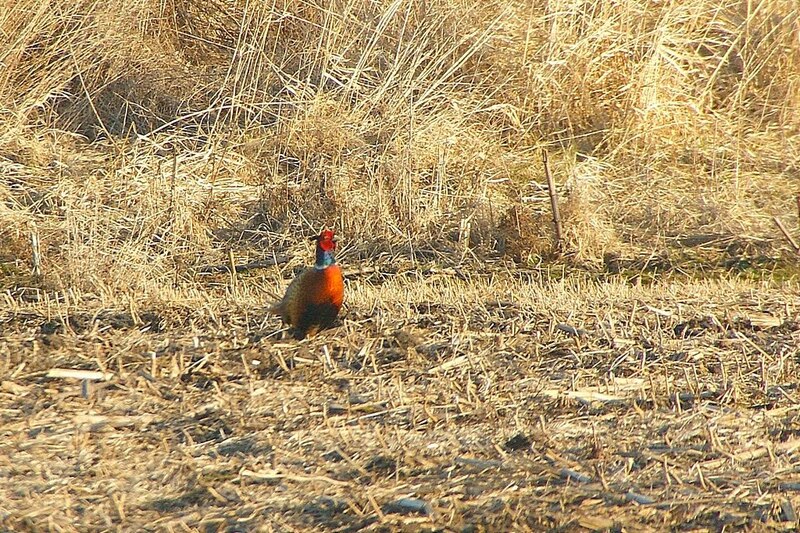 Great shots of the beautiful pheasants. Love all your pictures. Thanks so much for Camera Critters, I have enjoyed it! Beautiful and Gorgeous Pictures! Camera Critters are so good!Looking forward for more! Happy Anniversary to you and Belated Happy Easter! God Bless!